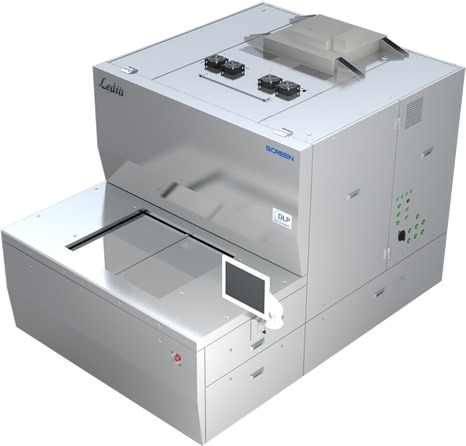 Produced by SCREEN in Japan, a leading PCB equipment manufacturer, and with over 550 systems sold, the Ledia Direct Imaging system delivers field-proven reliability and throughput. 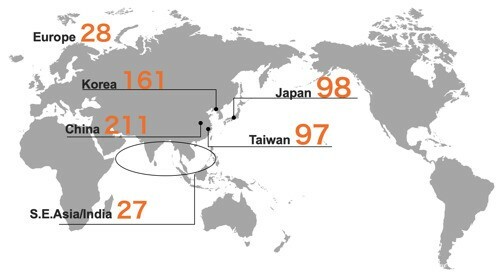 Seven out of ten of the largest global PCB manufacturers work with Ledia. This workhorse is available in Europe exclusively through Ucamco, with 21 installations. Ledia is supported by Ucamco's local network of highly skilled engineers and with a local spare parts stock, resulting in unbeatable uptime. Ledia’s unique UV-LEDs light source combines two or three different wavelengths simul-taneously. 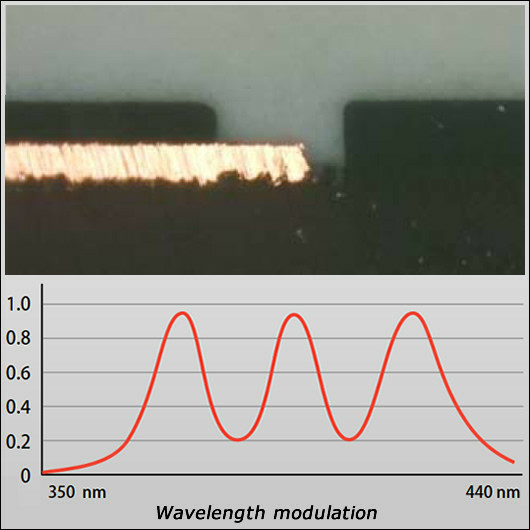 The wave-length ranges from 350nm to 440nm to diffuse the energy optimally throughout the resist or solder mask. The user can tune each wavelengt’s power individually for optimal results on or each material. 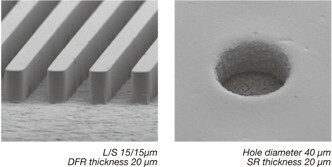 The result is high throughput and unrivalled quality – 50µm solder mask dams without undercut. Ultra-fine feature capabilities, a precision auto-focus and an automatic alignment algorithm compensates for substrate distortion. Ledia exposes a wide range of both dry film and soldermask with high-throughput and high-yield. 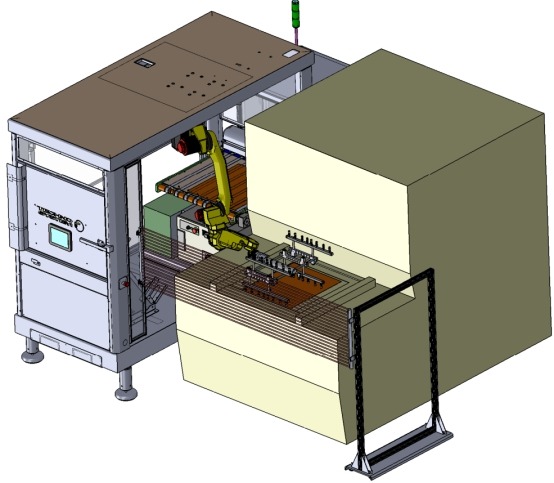 As Ledia delivers top quality even on conventional resists it integrated into existing production environments with minimal hassle by Ucamco’s experienced hardware and software installation team. Ledia guarantees optimum quality ultra-fine work and delivers high productivity and throughput on a wide range of panel sizes and production volumes. Ledia's UV-LED light source costs less than the conventional laser alternatives. As it is only active during the imaging process consumable costs are even lower. Ledia is the ideal DI technology for mid and high end production. Ledia can be integrated with the ERP system, and imminent jobs directly and automatically sent to Ledia. Traceability is a now requirement for industries such as automotive and medicine and it will only grow in the future. Serialization by hand is expensive and error-prone; a growing number of customers no longer accept it. The Ledia software can generate highly-customizable variable images at the time of exposure, both text and data matrix, for serialization or other identification. Configurable individual formatting matches the serialization’s appearance to the customer specification. Serialization can be on the single PCB, the assembly panel or the fabrication panel, or any combination. Fully automate the data preparation through the XML interface. An impressive range of optional automated solutions increases productivity still further. 22/05/2018 Tecnomec purchases LEDIA SB33 Direct Imager.